An application was released on Tuesday to forecast an individual's risk of diabetes over the next three years. China has a huge population with diabetes. A man checks his risk of diabetes by inserting his personal information onto a screen showcasing a new app released on Tuesday at Ruijin Hospital. People can check their chances of developing diabetes in the next three years via their smartphone. By using an app and inserting their basic health data and life habits, they can assess what their risk is. The application is based on data from a national survey covering 200,000 Chinese. Developed by the Chinese Medical Doctor Association and Ruijin Hospital, the app was released on Tuesday to mark World Diabetes Day. An English version will be introduced soon. An estimated 11.6 percent of Chinese citizens suffer from diabetes. Moreover, half of the adult population is in the stage of pre-diabetes — meaning that a quarter of them are likely to develop the condition within three years if not taking any steps to alleviate the problem. “Diabetes is a disease closely related with lifestyle. 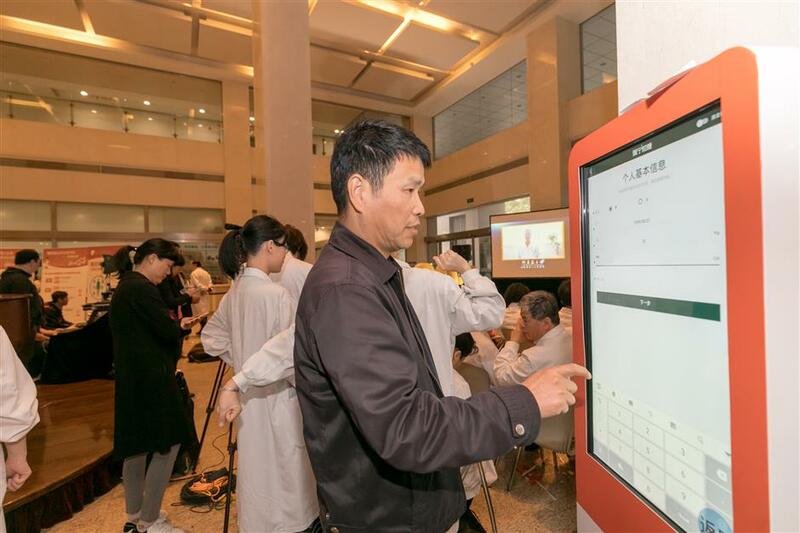 A change in lifestyle and proper guidance from medical professionals can help many people to avoid the disease or put the disease under better control,” said Dr Ning Guang, vice president of Ruijin Hospital and the app's developer. “Simply by inserting a person’s age, gender, weight and height, habit of smoking and drinking and education background, the app can figure out the risk of diabetes." People at a high risk should take steps to reduce their chances of developing the condition, Ning added. To promote education on diabetes and other metabolic diseases, China has started to set up metabolic management centers in domestic hospitals to allow patients to receive check-ups, diagnosis and education. So far 34 hospitals have signed up for setting up the centers. By 2020, the nation will have over 1,000 such centers. The first batch of patients at the center in Ruijin Hospital has seen highly promising results, as the percentage of patients meeting glucose standards has risen from 40 to 70 within a year.